For long, women in rural areas across the country walked miles to bring home water. That is set to change in Chapariya village of Madhya Pradesh where they will take charge of the Nal Jal Yojana (Tap Water Scheme) once introduced. Managing the affairs—distributing water, generating bills, collecting payment, maintenance, resolving disputes—with complete autonomy from the panchayat and district authorities will also break the shackles of the traditional patriarchal system. 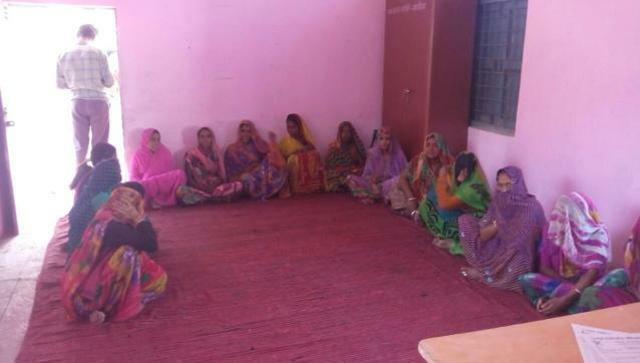 The move came after members of different women’s self-help groups (SHGs), led by Chandrakala Bai (35), met Agar district zilla panchayat chief executive officer Rajesh Shukla and tabled the proposal during chaupal. “If women take responsibility of water distribution, it not only reduces disputes, but also brings transparency in the system. It also helps improve the health for women and girls and strengthens their voice in their families and communities,” says Chandrakala Ajame, another resident of the village. Chapariya is a small village in Susner block of Agar district in Madhya Pradesh having a population more than 1,700 people, who farm or rear cattle. It has been declared the first Aadarsh Gram (model village) of the state under Saansad Adarsh Gram Yojana, having been adopted by Rajya Sabha MP Meghraj Jain. Outlining the process, Munni Bai, a member of an SHG, said every family will have to pay for water. “We not only collect bill amount through self-help group, but also ensure every family gets sufficient water, so there will be no cause of dispute,” she said. Zilla panchayat CEO Rajesh Shukla, who is monitoring the setting up and functioning of the Nal Jal scheme, said once the scheme is started, the administration will hand it over to the village women. “So far, `42.33 lakh has been sanctioned for the scheme and three per cent of the total sanctioned amount has been contributed by various self-help groups run by the village women in the area,” he said. “In the initial stage, the women might face some problems, especially when it comes to maintenance or other mechanical work. We have asked the technical team to fix such problems,” Shukla said. District collector Durvijay Singh praised the women for taking the initiative, a first of its kind in the state, and said that their efforts would set an example for others.